A Week of Vincent Versace. The B&H Event Space is pleased to host a week long special visit by a modern digital master, Vincent Versace. Vincent will share a number of exciting topics that will invigorate your photography. Hollywood Lighting on a Laptop and Bokeh: The Science of Focus and the Art of Blur. Lens blur can be the most aesthetically pleasing quality of a photograph – if you know how to do it right. Vincent Versace will teach you how to achieve beautiful lens blur with onOne and Nik software so that your image realistically replicates the look and feel of bokeh. You will also learn additional post processing techniques that will allow you to light an image in the computer that looks like you used real theatrical hot lights. Come discover why focus is overrated, and how to make your photographs come alive by utilizing just a few key software plug-ins that can transform the way you edit your photos forever. Hosted by Nik Software, follow along with Vincent as he shows you how to make Black & White images that not only rivals Silver Gelatin images but surpasses them. Learn why you should not use every conversion approach and when you really should! Vincent will show you how to transform a RGB file to black and white replicating the physics of how it would have been recorded if actually shot on black and white film without ever leaving the RGB color space. Learn to think about, see, and adjust color in new ways. Color is one of my favorite subjects. As both a photographer and a painter, color has been a life-long passion for me. You won’ t find this perspective anywhere else. You can find many related color resources in my Lessons and DVDs. Vincent Versace, will bring their unique qualities, skills and teaching methods to this first of its kind multi-day educational event. Taking place at the picturesque Hilton San Diego Resort & Spa on Mission Bay, San Diego, CA, attendees will learn to improve their photographic, digital workflow and image-editing skills after photographing some of the most beautiful areas in Southern California. Keynote presentations by Robert Beck and Joe McNally, two of the world’s finest working photographers, educational workshops presented by Dubler and Versace, and panel discussions with industry leaders and digital imaging engineers will inspire attendees to not only become better photographers but better editors of their own work. Relaxing “fireside chats” with peers, leading professionals, and imaging product specialists will be the perfect ending to each day. More information and registration details for The Nik Summit are available at www.niksummit.com. Nik Software also announces the addition of five co-sponsors of the Nik Summit made up of industry leaders and educational powerhouses, including Epson, Nikon, Wacom, White House Custom Colour, and X-Rite. Cost: $599.95 / $479.95 early bird registration until March 15, 2010. Discount room rates of $149.00 per night are available when booking through the hotel. Mention “The Nik Summit” when making reservations. Nik Software, Inc., (www.niksoftware.com) is a privately held company that develops software solutions for the growing digital imaging and photography markets. Established in 1995, Nik Software has become the recognized leader in digital photographic filter development and produces award-winning technology and software products for digital photography and imaging professionals including U Point® technology (www.upoint.com), Dfine®, Viveza®, Color Efex Pro™, Silver Efex Pro™, and Sharpener Pro™ software. When it come to fine art printing R. Mac Holbert along with Graham Nash started it all. If it was not for them fine art inkjet printing would not be what is today. Simply put Nash Editions is THE name in fine art printing and R. Mac Holbert is the talent behind that name. Pre order price is $59.95 with free Shipping and Handling! In this interview I discuss one of my favorite subjects – Color! Check out my seminar at WPPI Las Vegas March 10. Check out my workshop the Power of Color. Learn more with my DVDs. Learn more in my free Lessons. Even masterpieces look better in good light! Find out more about Solux here. Anytime you have an opportunity to hear Jay speak about photography you should take pause and listen. If you do no know about the Candid Frame series of interviews please make this a must listen to experience from this moment on. They are brilliantly done. 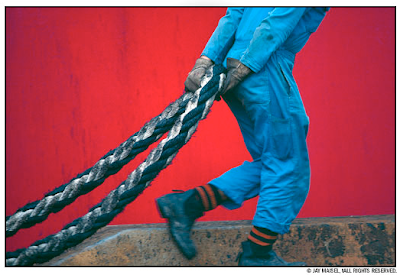 Jay Maisel is acknowledged as a master of natural-light color photography . With a photographic career beginning in mid 1950′s, His non-technical approach and his exceptional images have inspired countless photographers. Born and raised in New York City, many of these classic images have helped define the beautify of the city in a distinctive and memorable way. Based on his principle, “Light, Gesture and Color” he brings a sensibility which allows him to produce amazingly beautiful and revitting images from the unpredictable city street. He is in all regards, the photographer’s photographer. You can discover more of his work by checking out these previous interviews here, here and here. Make your digital prints the very best quality possible. Achieve this by learning all the components and aspects of a printing system: substrate, ink, printer, driver/RIP, profile, ink limit, print speed, viewing light, environment, and presentation. Learn what each component contributes to print quality and how they all work together to ensure your prints are as good as they can get. Learn how to think about printing and the print itself. Understanding how digital printing has evolved will help you navigate the field as digital printing continues to evolve. All the aspects that we identify contribute to print quality and if you monitor the developments within the field, you will be able to understand how to achieve the very best print quality, when to upgrade and what to look for in the fine digital print. Use this information to make better informed choices with the tools you use and how you use them to advance your vision and get the very finest prints. Always the detail you want in the shadows and highlights. Extend the dynamic range in all of your images. Unlike yesterday, with today’s technology, you only need to make sacrifices if you want to. Many people think that HDR and merging images are synonymous when in fact it is one technique amid a range of possible options. It’s not only what we do at capture but what we do after. This array of choices for extending the dynamic range spans the gamut from simple to complex. By learning a variety of techniques and understanding how they work, it will make it easier for you to choose the technique that is most appropriate. The results can be dramatic. When using these techniques, you will be challenged to see in new ways. Difficult shooting conditions will become easier for you. Many more image-making opportunities will become available to you. Learn simple image adjustment strategies that can extend the dynamic range of single exposures. Learn new HDR exposure and software techniques that can handle even the most challenging scenes. Choose from many HDR styles – classic or contemporary. 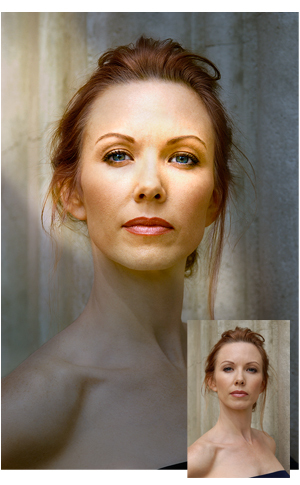 Simulate HDR effects on low dynamic range images. Once you understand the possibilities, you will find yourself thinking about light, making exposures and enhancing images in new ways. Master these techniques and you will find new versatility in service of your vision; use them to give us a window into the world that you see and the way that you relate to it.